This article is part one in a series on the process of getting my PADI Divemaster certification. The Divemaster certification is the first step to working as a professional in the diving industry. I felt it was important to share some backstory before getting into the details of my month long course. Unfortunately, diving can be such a macho sport with little to no consideration to individual anxieties or fears. Like anything worth doing in life, I had to admit to and face some pretty serious fears to get to where I am in diving. Instead of keeping it to myself, I thought it might be useful to start a dialogue about the subject. My path to becoming an accredited Divemaster began after getting my Rescue Diver certification in Madagascar. I knew then that I wanted to continue my diving education and become a PADI Professional. 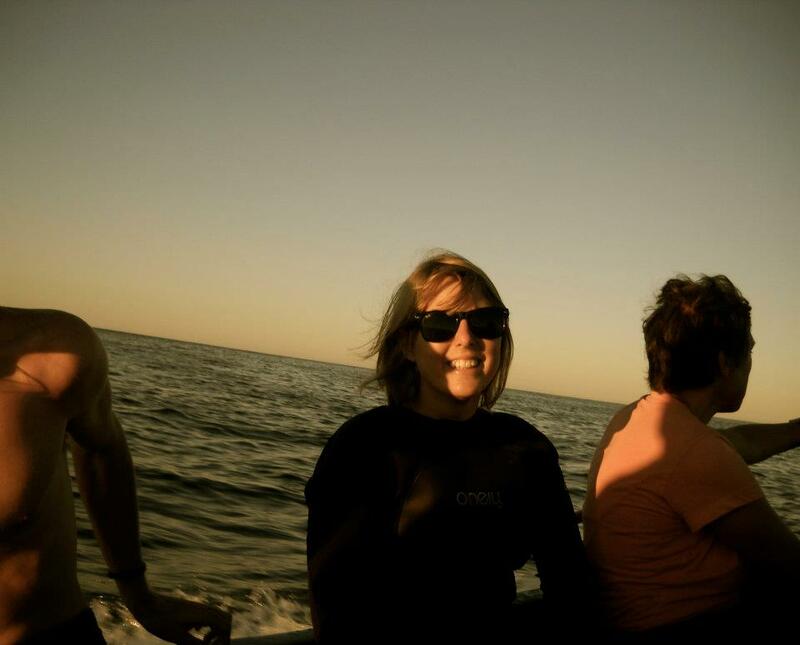 In Madagascar I was volunteering at a reef conservation NGO and diving had become part of my daily routine. I spent so much of my time underwater that descending under the sea became as natural as stepping into another room. I loved everything about diving, the camaraderie, the natural beauty of the ocean and the excitement of seeing creatures I loved in the wild. With sixty plus dives beneath my belt, I quickly became a confident and carefree diver. There was not even a flicker of fear as I dove at night, under docks with sharks flicking around my fins, and in swells that had you careening into your buddy. The ocean was my playground and I felt safe and happy in it’s watery embrace. Those days of carefree diving were magical moments however it wasn’t long that one dive changed it all. It wasn’t like I surfaced coughing up frothy blood or even had to spend time in a decompression chamber. It was a simple accident (that could have been a lot worse), but it kick-started anxieties and fears that I still haven’t been able to shake. It was a normal dive about 26m deep and visibility was perfect. The ocean was putting on a beautiful face that day and I remember the water being the most beautiful shade of blue. 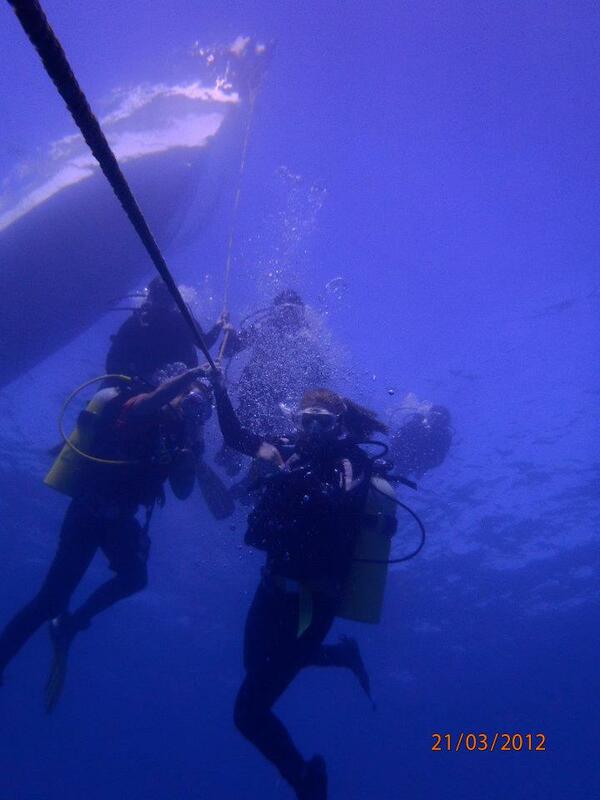 The dive went well and the group I was in began ascending as normal. My buddy was busy fiddling with something but I wasn’t worried. 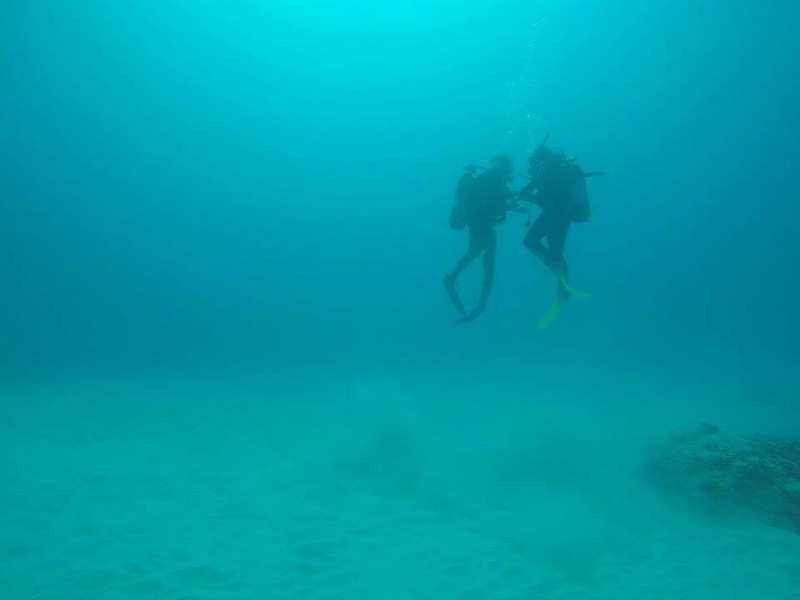 Unfortunately as you progress up the ranks in scuba diving, the buddy system becomes a bit more lax with not as much contact, checks or support. It was something I was used too. There was quite a strong current so we decided to ascend up the rope to the boat. On our ascent, at about 15m, an intense pain started in my left ear. I motioned to my buddy but she was still fiddling with her gear. The pain grew worse and waves of black came over my vision. I lost all sense of where I was and the ocean swam around in front of me. I felt like I was going to pass out. I ended up wrapping the anchor rope around my wrist in order to not get swept away by the current. I made a quick ascent with the pain exploding on the left side of my head. After the dive, I was furious my buddy hadn’t even noticed my distress. Over the next couple of days, I made unconvincing excuses to get out of the daily dives. Fear had officially introduced itself into my diving. 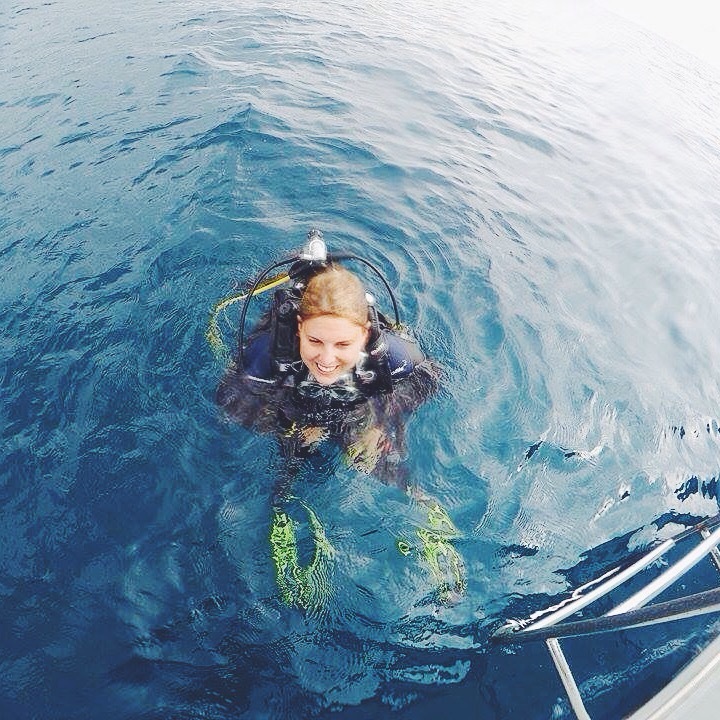 It was this all-consuming fear that saw my first attempt at becoming a Divemaster fail. I was taken on as a Divemaster intern at a reputable dive shop in my home town of Brisbane. My first day as an intern saw us diving in the Tweed River. A muddy little river mouth about 8m deep that was littered with rusty metal and covered in crusty barnacles. Basically if you were ever going to run into a dead body on a dive, this was the place it would happen. As anxious as I was about the whole thing, responsibility took over and I spent the next couple of hours tending to the many bleeding limbs of the poor beginners who had decided to learn to dive in Tetanus-Central. Although it went okay, the great test of my deep rooted fear would come the next day as we headed out into deep water. 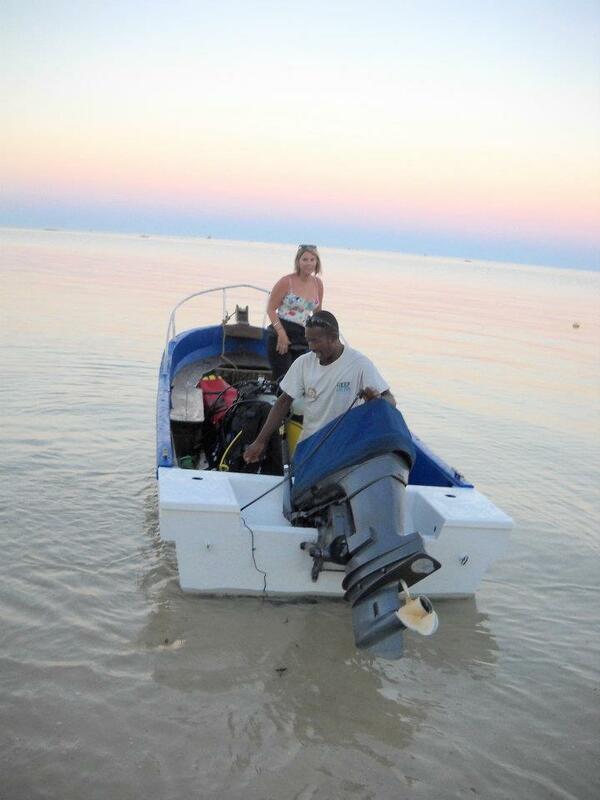 The ocean was rough and the boat pitched with every swell. Visibility was terrible and there was talk amongst the divers about recent shark sightings. As soon as I slipped underneath the dark ocean surface, waves of fear overcame me. It took away my breath as I raggedly pulled in air from my regulator. It spread throughout my chest and I couldn’t wait for the dive to be over. My movements were panicked as I equalized my ears and I kept imagining the vertigo was returning. After five minutes I pulled the pin. I just couldn’t do it. I signaled to my instructor that I couldn’t equalize (a handy excuse if you ever feel too embarrassed to stop a dive) and I legged it to the surface. I stayed quiet on the boat and never went back to my internship again, a fact that I am still ashamed about. It was another year until I donned my diving gear again. I had found myself on the dive-centric island of Koh Tao, Thailand. I signed up for 5 fun-dives and waited nervously for the first. Like that horrible dive that changed it all, my first dive in Koh Tao marked the moment where I started to love diving again. I sat down with the instructor and told him about what had happened on that dive two years ago. He listened patiently, and even though I had over a hundred dives in my log book, he treated me with careful reassurance and understanding. The dive was in a shallow lagoon at no more than 8m. It was baby steps and it was exactly what I needed. When I felt nervous again, I focused on the instructors calm demeanor and when the panic started to well up in my chest I narrowed in on the little details of the coral reef. These little tricks started to take my mind off the fear. Although my anxiety was still present, that dive had me smiling into my regulator as I peeked underneath coral shelves and waved my hand across the colorful Christmas tree worms. 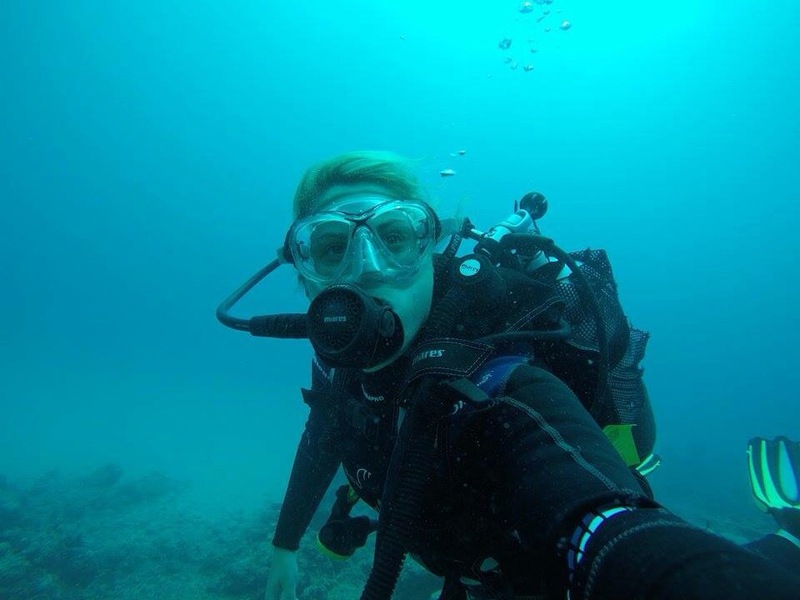 So there is my diving story and the events that lead me to sign up to doing my Divemaster certification in December of last year. I will be posting an article about the more practical aspects of my Divemaster internship so keep a look out for it. 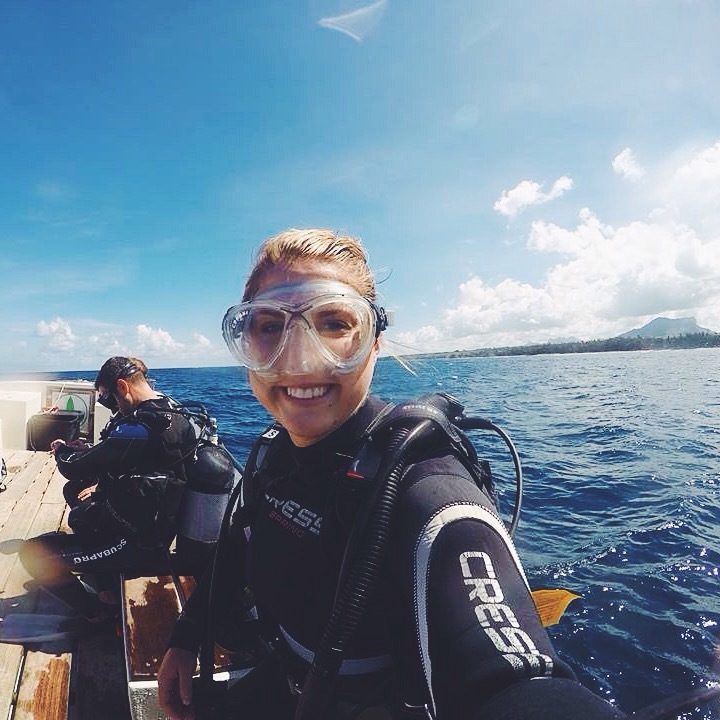 If you have had any similar experiences or have overcome a fear of diving I would love to hear about it. Please leave me a comment or email me at dirtypawsblog@gmail.com. Happy Diving!